Happy Thanksgiving to everyone celebrating here in the states. I hope you have a wonderful holiday with your family! We have a busy weekend with family planned so I may not be able to visit all of you this week. Hopefully, I'll have lots of opportunities for photography! Thought I'd join in here today, have recently discovered your blog. Love your yellow flowers- enjoy your thanksgiving celebrations. Deb have a wonderful thanksgiving and many blessings in the days ahead. 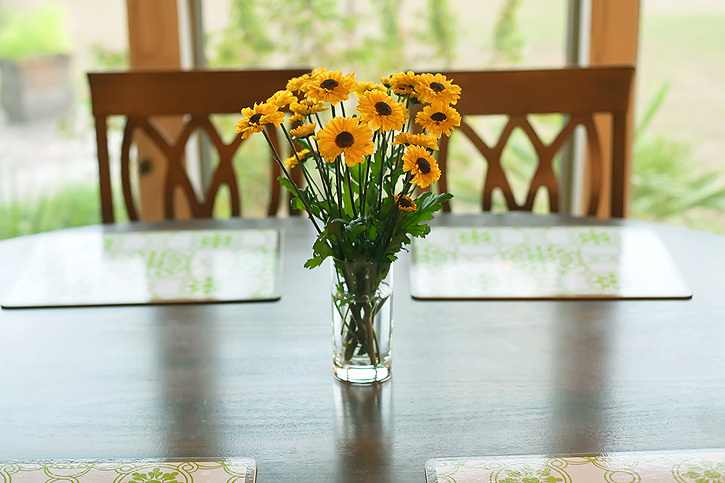 Love your simple and elegant flowers. 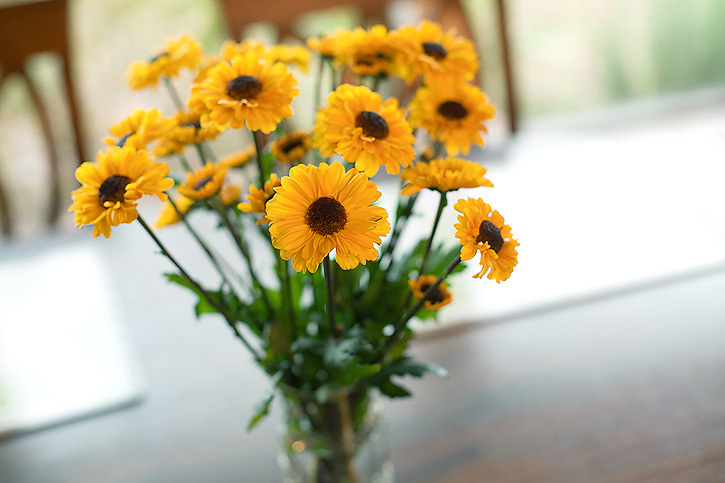 I love your bright yellow flowers - so cheerful looking. Have a wonderful Thanksgiving holiday and have a great weekend. So gorgeous. Love them. Happy Thanksgiving!! I have recently discovered your blog too. Beautiful flowers! Have a wonderful Thanksgiving. wishing a very happy thanksgiving! thanks for your happy message alongside your cheery flowers. hope you get to take lots of photos, although if you're anything like me, i rarely get to take the photos i'd like to when i'm in a public setting! As always Deb- beautiful photos. I'm so thankful that the Lord has brought you into my life- I feel bless that you have been a part of my days. Hope you have a wonderful day with your family! Oh Deb! I love those flowers. Those are such beautiful photos! Great, great composition! Beautiful photos. :) Happy Thanksgiving to you and yours, Deb! I'm thankful for your blog's inspiration. Happy Thanksgiving Deb. Thanks for providing this space for us to share and be inspired. I am grateful I stumbled across your site and have thoroughly enjoyed your linkup. Hope you have lovely time. Happy Thanksgiving - hope you didn't have to wait too long for the turkey! Beautiful bouquet, such bright sunny colors. Gorgeous, Deb. Sure hope y'all enjoy the holiday! Beautiful Deb!! Happy Thanksgiving to you all the way from QLD, Australia!! have wonderful day with your family! I hope you and your family had a wonderful Thanksgiving Deb! Picture 2 is soooooo pretty!!!! Hope you had a fabulous Thanksgiving Deb! Love the flowers!! That is a pretty cool shot. Taking pictures of these flowers is always entertaining.